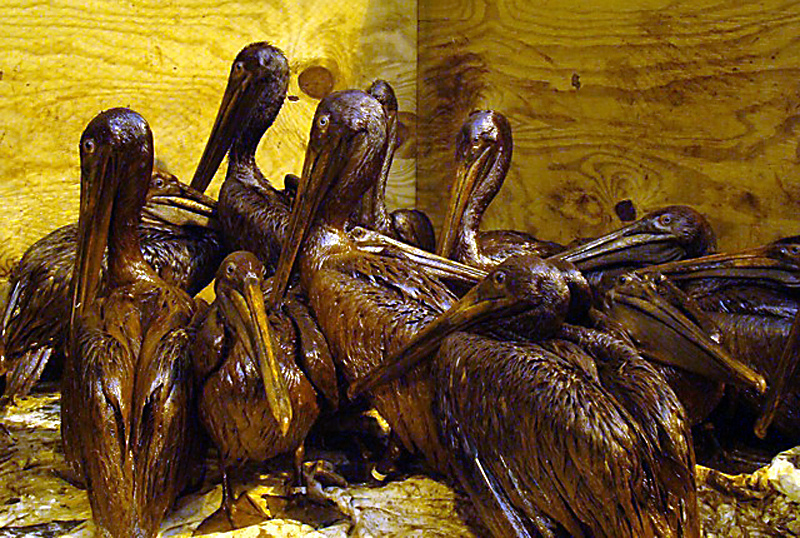 There’s no shortage of finger-pointing as the now worst oil spill in U.S. history continues its assault on the Gulf Coast’s ecology and economy. Unless you’re a physicist or energy wonk of some sort, hearing that the average yearly per capita energy consumption in the United States in 2008 was 337 million Btu probably tells you little about your energy footprint. Knowing that a Btu is an energy standard equivalent to 252 calories – about what’s contained in a Snickers candy bar – is probably of little help either. A centuery ago Americans consumed energy at less than one-third the current rate. This entry was posted on Wednesday, June 16th, 2010 at 6:40 am and is filed under climate change, energy, global warming, politics, pollution, science, sustainable living, toxics, wildlife. You can follow any responses to this entry through the RSS 2.0 feed. You can leave a response, or trackback from your own site. I believe your last paragraph gives too much credit to techno-fixing the petroleum lifestyle. It turns out that renewable and alternatives forms of energy cannot substitute much for petroleum’s energy or petroleum’s infrastructure. So it’s far more essential to pursue energy curtailment on all levels — especially when we picture what’s happening in the U.S. Gulf and with the global climate. And there’s those oil wars on the other side of the world that we don’t want to think about. I’ll post your article on Culture Change to join your other fine works there. – in the DC area working on a Gulf oil gusher mitigation project: slash oil use now to offset BP’s catastrophe. Jan is wrong. Solar power and plug-in cars can eliminate all need for overseas or difficult oil; the unused rooftops of America, more than 10,000 square miles of sunny surface (not counting shaded or inaccessible) can supply ALL of our energy needs, even if all our cars were plug-in EVs. It’s typical that our elected officials and their advisors are so IGNORANT and arrogant. Too arrogant to see the solution, even when they are riding in a plug-in car, even when they see solar panels. Our politicians and their advisors take bribes from Big Coal to continue our insane use of coal to replace solar panels, and from Big Oil to continue our insane use of oil to replace plug-in clean cars.